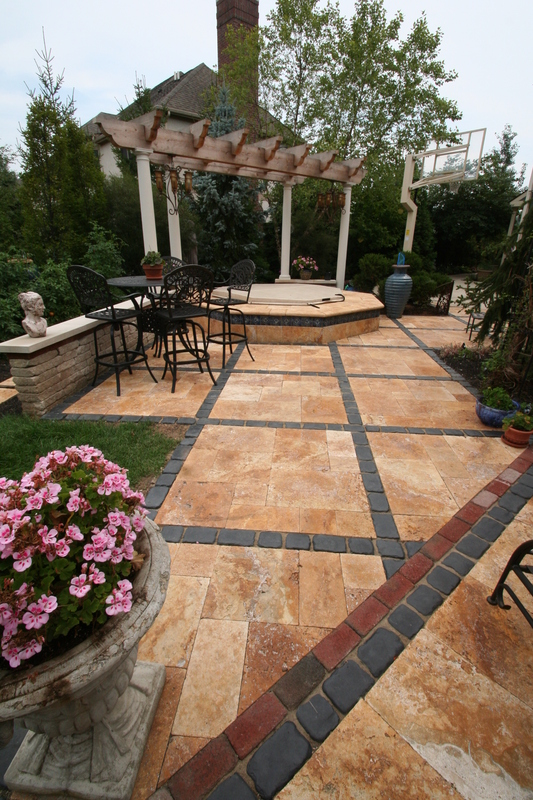 A well-planned and executed backyard design expands your living space. In addition, it enables you to eat, entertain and even cook outdoors, without needing to book a reservation. Late spring and summer are typically viewed as the ideal seasons for backyard entertaining. Outdoor Fireplace. Nothing exudes luxury, comfort and warmth quite like an elegant fireplace. Incorporating a fireplace in your backyard design will add to both the illumination and warmth of the space. They look very much like their indoor counterparts; equipped with a chimney, hearth, firebox and flue. Additionally, there are a number of styles and types to choose from. Heat Lamps. Adding heat lamps also allows you to enjoy your backyard design well into the cooler temperatures of the fall. They add warmth and can also be used as an attractive centerpiece to bring ambiance to the space. Decorating the interior of your home is one of the best ways to express your personal style, and patio lovers can carry that to the outdoors. 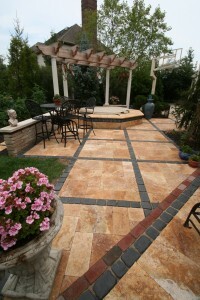 Your outdoor living space doesn’t have to look and feel like an entirely separate area of your home. 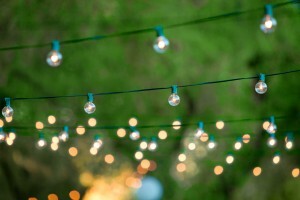 These decorating tips and tricks will help you transform your outdoor space into a cozy, comfortable spot to enjoy throughout the year. Mimic your living room. Think of your outdoor seating and entertaining area as an additional living room. Include furnishings like a sofa, side tables, and a larger coffee table. 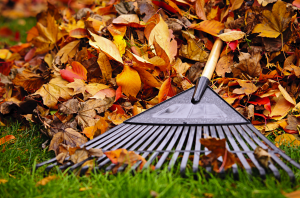 You’ll want to choose items that can withstand the weather, but there are still plenty of comfortable options for cushions and pillows. Add touches like throw blankets, coffee table books for browsing, and coasters for beverages. Don’t be afraid to hang a few pieces of artwork or other decorative items on the walls. Consider comfort. 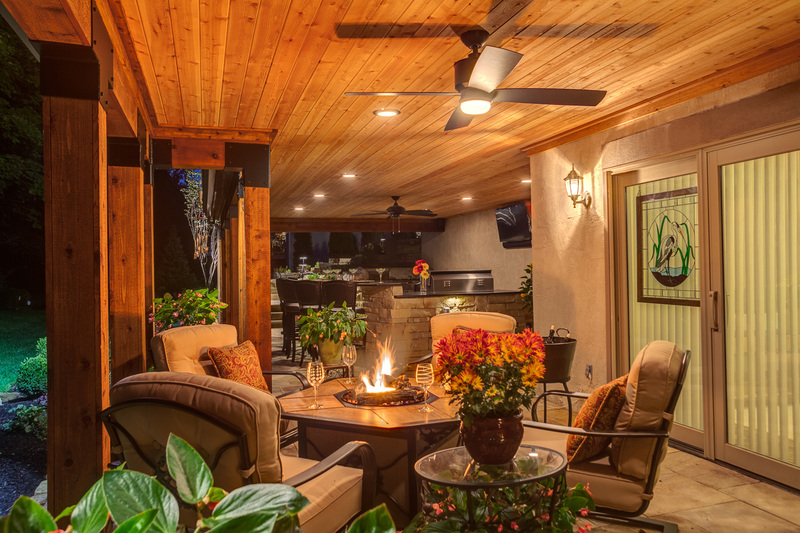 If you want to truly enjoy your patio, you’ll want to make it as comfortable as possible. When the weather is cooler, be sure to have a few blankets to wrap up in. 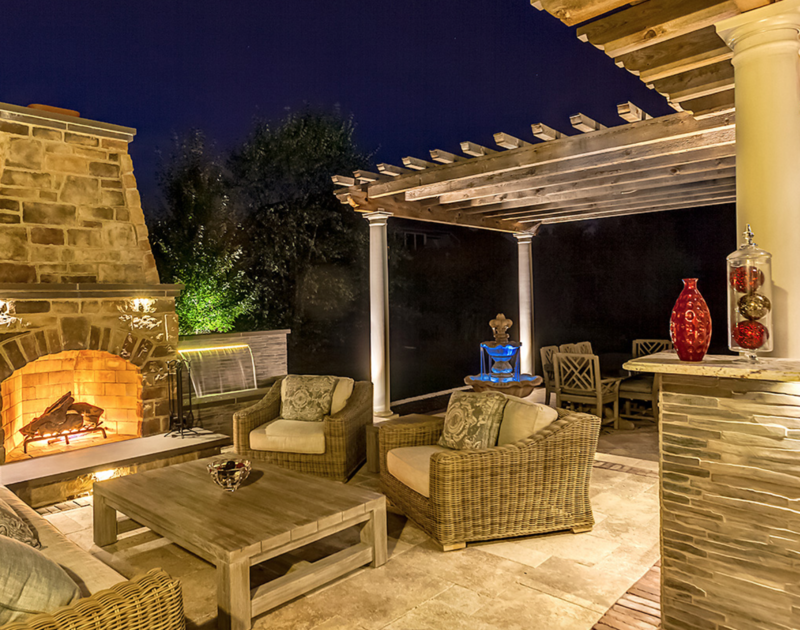 A fireplace, chiminea, or fire pit are the perfect focal points to add warmth and create a cozy vibe. 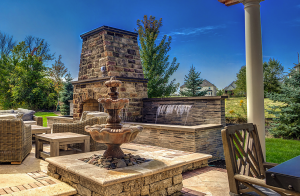 In the fall, a fire feature will allow you to linger outdoors for hours. You’ll be able to settle down with a good book, a glass of wine, or even enjoy a board game with the family. Create zones. A great way to establish designated areas on a patio is by using curtains and furniture to create zones. Hanging curtains also allows you to add color and patterns, and it can give you more privacy outside. You can make a specific area for dining and food preparation, and keep it separate from the seating and lounge area. Don’t be afraid to allow your personal style to shine through in your outdoor living space. 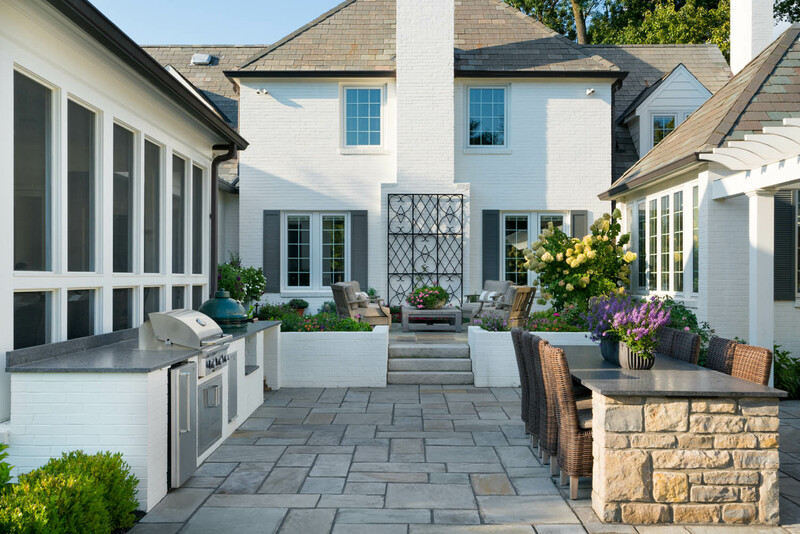 With these tips in mind, you’ll be able to create an outdoor area that feels like an extension of your home’s interior. Patios are great places to entertain. 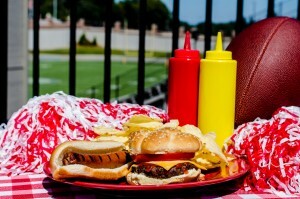 You can hold a variety of parties including a tailgate party during football season. With the right game to broadcast, equipment and enthusiasm, you can have a wonderful championship party by following a few easy tailgating tips. The outdoor theater set up has to be large enough for optimal viewing by many people. There are now waterproof televisions you can rent for outdoor entertaining. You need to have lots of comfortable seating for your guests. In addition to folding chairs and stools, you can use oversized pillows and cushions, benches, and even a sofa. 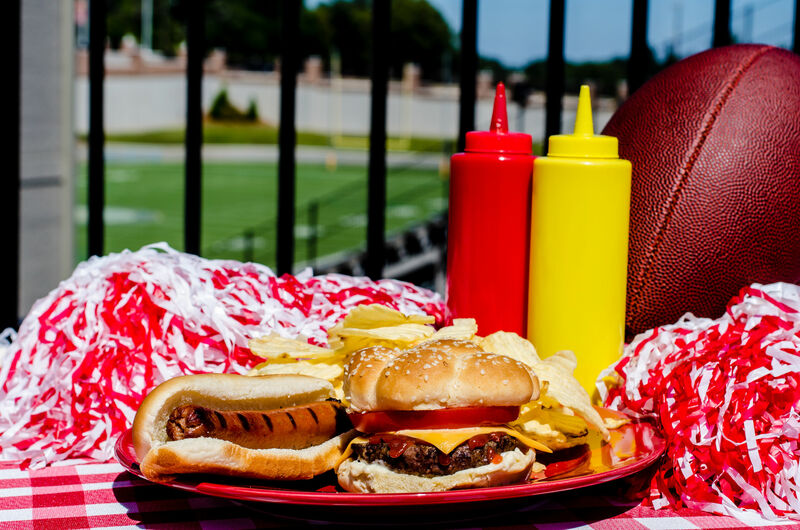 At a backyard tailgate party you can have traditional foods such as burgers and hot dogs, or anything else you want such as ribs, chili, or soup. As long as you have enough food to sustain your guests, the type of food really will not matter. You can ask guests to bring their favorite tailgate appetizers or finger foods to share so people have a wider range of foods to sample. If you are using a grill, you can ask a few guests to take shifts manning the grill so you do not spend all your time cooking. In case of sudden bad weather, you need to have a contingency plan. If it starts to rain, you can move the party indoors or have a large tent ready to put up. 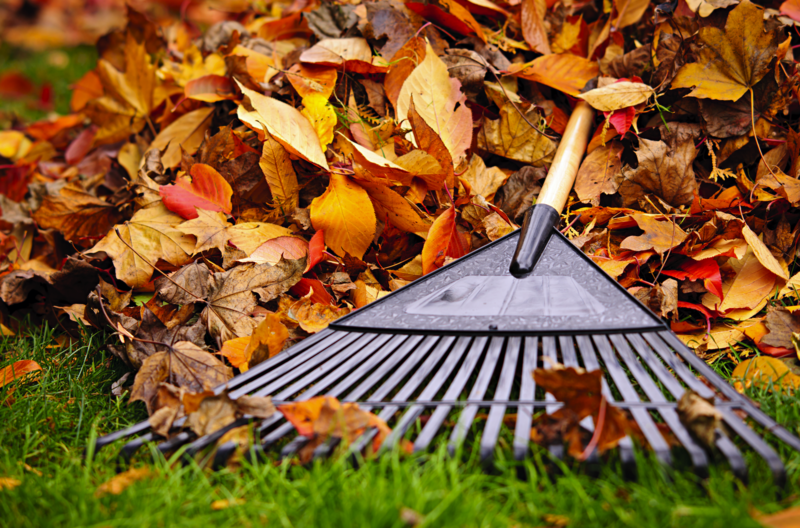 If the temperature turns chilly, a space heater or fire pit can warm up guests. You can also pass out blankets or throws to keep guests cozy. A backyard tailgating party can be lots of fun if you plan it well. With the right mix of people, food, and comfort, you patio tailgate party could be legendary. 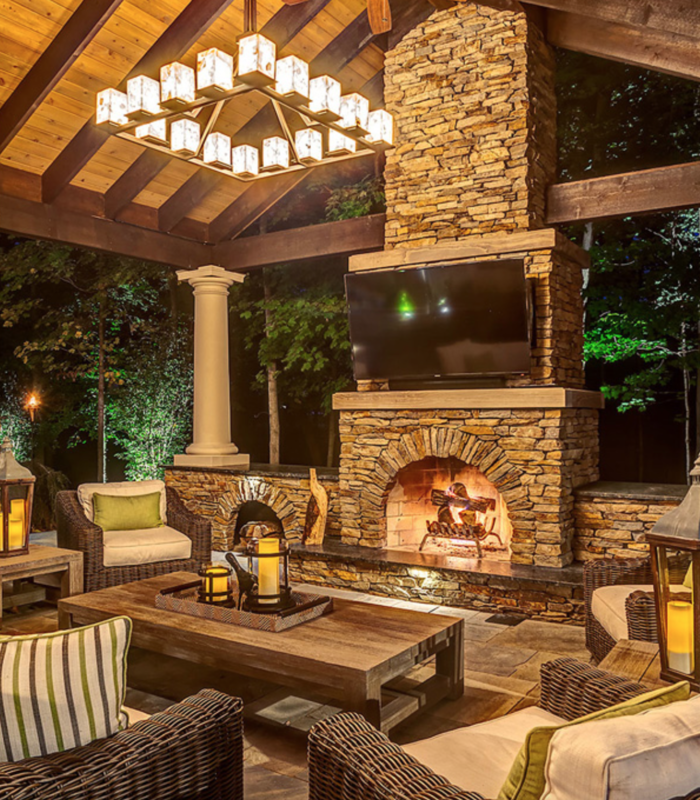 When you are ready to redesign your outdoor living space, contact Hidden Creek Landscaping for ideas, installation and maintenance.